Well, that went over well in a crowd of librarians. 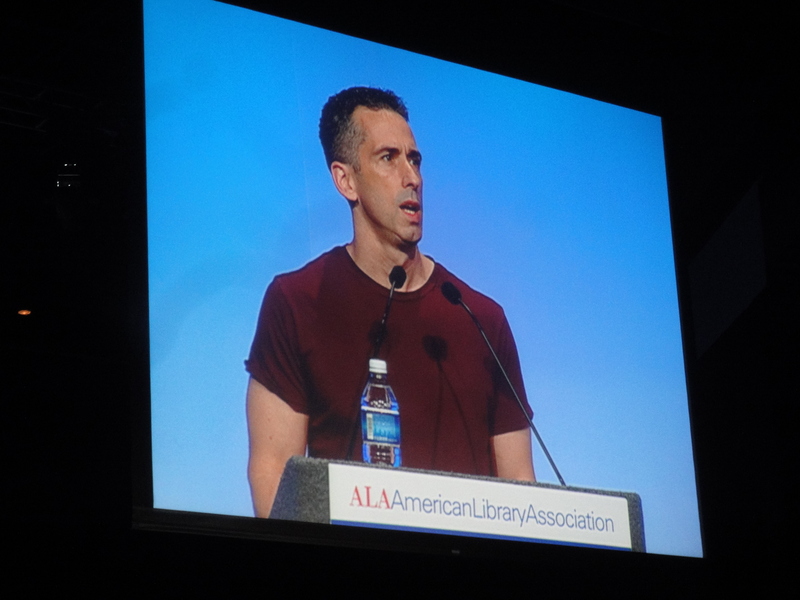 But beyond a simple love of books, he said, “We also did the book to challenge school libraries and school librarians.” Some kids may not have internet access, but most have access to libraries, and over 1,500 copies of the It Gets Better book have been donated to libraries. 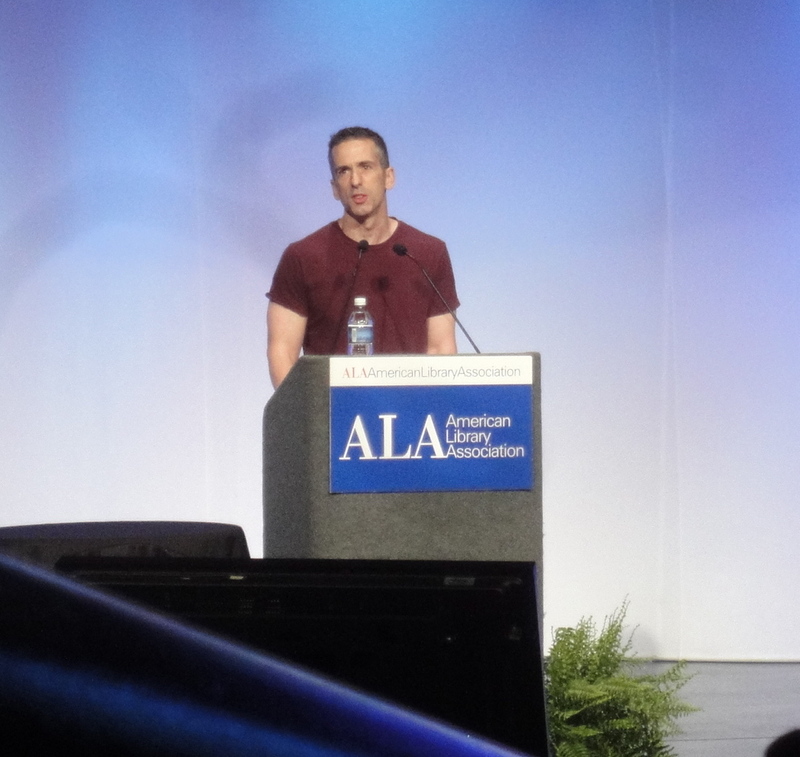 Overall, I enjoyed his talk very much; he’s an articulate and funny speaker, and a champion of libraries. Got the conference off to a great start!